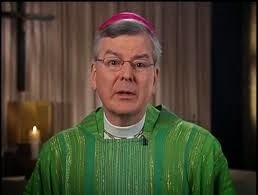 Catechumens - USA: Archbishop Nienstedt: Archdiocese leaders tried to keep the Accusations Private..."It's Reprehensible!" Archbishop Nienstedt: Archdiocese leaders tried to keep the Accusations Private..."It's Reprehensible!" Twin Cities Archbishop John Nienstedt writes in a new column to the faithful that he is hiring an outside firm to review of clergy files at the archdiocese. Nienstedt’s ordered the review after a new wave of allegations of priest sexual abuse and recent revelations that archdiocese leaders tried to keep the accusations private. Nienstedt also apologized to victims, their families and to those who’s faith has been shaken by the allegations.